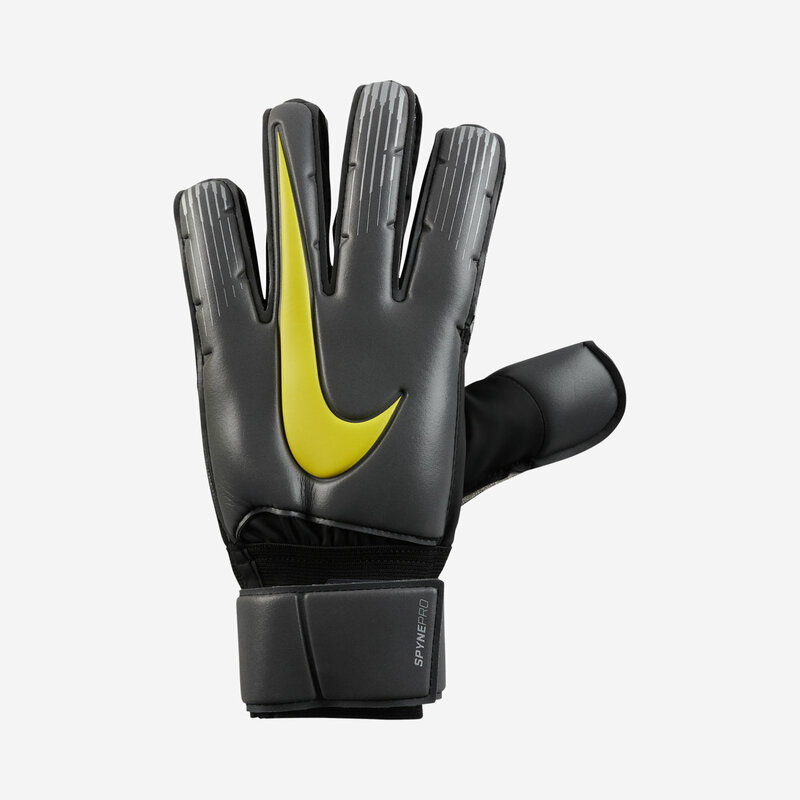 The Nike Goalkeeper Spyne Pro Soccer Glove features soft foam that helps absorb shot impact. Finger supports add stability to help you block and catch shots. Soft foam helps absorbs shot impact and provides superior grip.Finger supports add stability for blocking and catching shots.Wraparound wristband provides a comfortable fit that is easy to adjust.